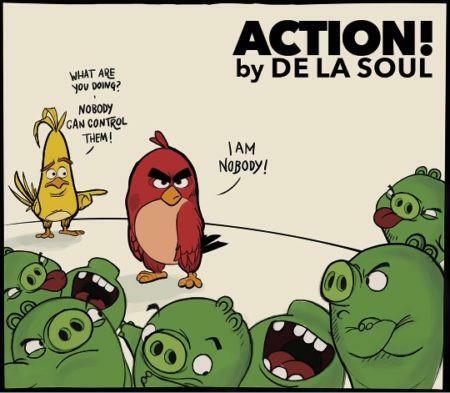 De La Soul - Action! Home>New Songs>De La Soul Songs> De La Soul - Action! 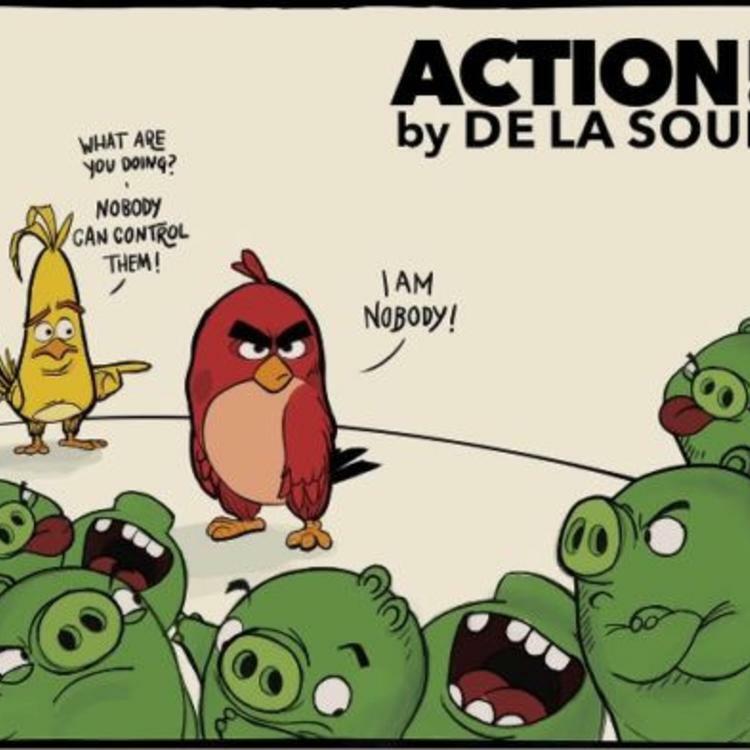 De La Soul share a new track in promotion of the "Big Pig" update of the Angry Birds mobile game. De La Soul will be dropping their album, And The Anonymous Nobody, will be dropping next month, making it their first album in 12 years (their last being 2004's The Grind Date). In advance of the LP, the legendary trio have shared a new record that arrives in promotion of "Big Pig," the newest update in the hugely popular Angry Birds mobile game. The song is funky and fun enough to fit the territory, but it's also not much of a compromise, and should satisfy fans of the group's influential past work. Look out for their next studio album on August 26th. The official single for the LP, "Pain," can be found here. And provide the best scene for the fights? You know the words, action! SONGS De La Soul - Action!